Spring/Summer 2018 marks the 50th anniversary of Etro, which began as a textile design company in 1968 by Gimmo Etro. Since then, Veronica and Kean Etro have become the heads of womenswear and menswear collections. As a celebration, the siblings worked together in a combined women’s and men’s collection fashion show. The Italian fashion house has, since its beginning, been heavily influenced by Indian textiles and others from around the world. Specifically, the paisley has become a signature. In fact, it remains a continuous inspiration, with countless variations. While the company continues to expand upon the versatile motif, this season was the about the Tree of Life. Starting as a date seed, the tree grows in both directions with deep roots and high branches—a beautiful analogy of the company’s history. 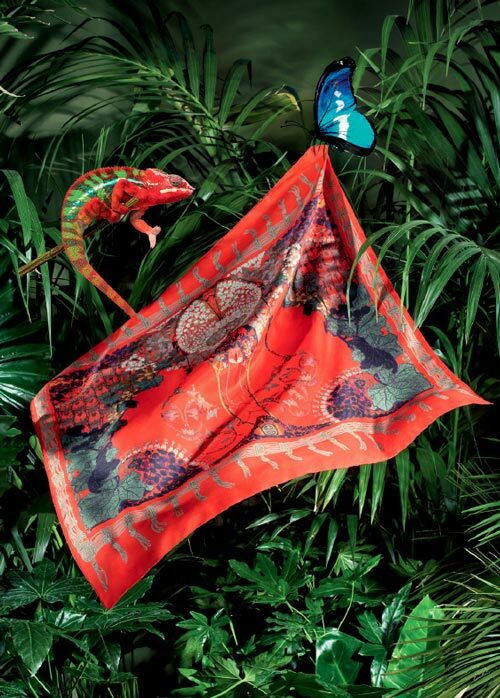 Drawing from the lineage fascination with multiculturalism and diversity, Etro pays tribute to India this season. As always, their exceptional quality and elegance are combined to create their bohemian luxe aesthetic. The ready-to-wear line integrates these core values with soft, dusty hues or rich vibrant colors that pop against a black background. Shobhan Porter, owner and buyer, usually makes a deliberate and artful selection of garments to sell in the store. 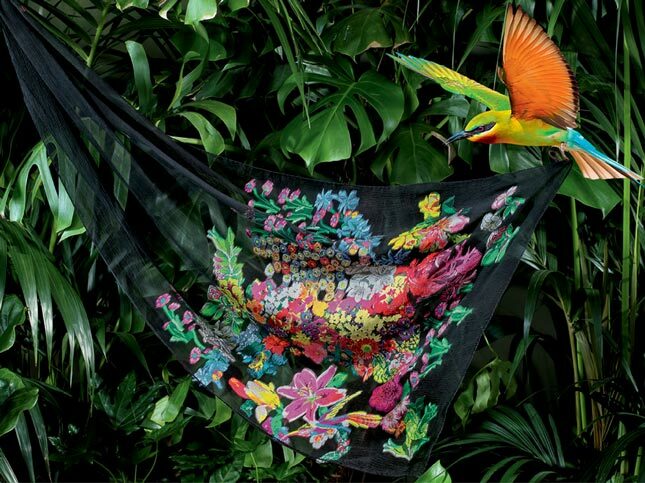 As a result of her curation, we have cashmere/silk jacquard scarves, silk paisley printed scarves, intricate floral and paisley blouses, floral embroidery and contrasting fringe. The paisley and floral jacket with tie-closure detail is a standout piece, being both rich in details and aesthetically cohesive. For this season, Santa Fe Dry Goods is introducing their shoes to our stores, starting with two styles of sandals. First, we have a ruffle slingback sandal in black, which is versatile and classy. For those with a playful style, the silk slip-on with a leather base comes in a royal blue.